The Best Natural Therapists, North Sydney. Siegrid is West Street Wellbeing’s founder and Director. She holds an Australian Bachelor degree in Health Science and is a registered Doctor of Traditional Chinese medicine. Siegrid is unique in her approach of blending the ancient hands on methods of Chinese medicine with the cutting edge field of nutritional science. She uses these two distinct yet harmonious forms of medicine to work through the layers of complicated symptoms most patients have and get to the true core of the problem. Sessions are a time in which patients can relax and recuperate, within the special haven that is her custom designed practice on West Street. Siegrid uses a painless style of acupuncture studied and practiced while living in Japan, along with massage, gentle corrective movements, heat therapy (moxibustion), herbal medicine, food advice and nutritional medicine to understand and improve patients health and wellbeing. Siegrid works with a wide variety of people, cases and symptoms. She has particular experience and passion for fertility (including IVF support), hormonal regulation and resolving adrenal fatigue. Other areas of expertise include balancing the immune system, alleviating allergies, relieving aches and pains, reducing inflammation, improving energy levels, calming stress and anxiety, improving sleep, improving digestive function and gut health, achieving healthy weight, and paediatric treatment for a wide range of problems. Sessions with Siegrid can be booked online now. All initial appointments are 1 hour with follow ups ranging from 30 minutes to 1 hour depending on the individual treatment plan. Luke has been with WSW since it opened in 2010. He is extremely experienced with both academic and clinical work and has been a teacher of Chinese Herbal Medicine at one of Sydney’s leading Universities. Luke is West Street Wellbeing’s resident expert in all things muscular-skeletal, which includes all joint problems (shoulders/knees/hips/ankles/wrists/fingers), tendon and ligament problems, acute and chronic pain, muscular spasm and tightness, spinal problems of the neck and lower back including disc movement and degeneration and arthritis. He is adept at making thorough assemssments of the problem and formulating a clear treatment plan to help you understand the processes involved in making a complete recovery or at least slowing any further degeneration as much as possible. He is also experienced in developing treatment plans for neuromuscular pain and pain associated with disease such as side effects from cancer and cancer treatment, and rheumatoid arthritis. Luke has published works in the Australian Journal of Acupuncture and Chinese Medicine including research on the role of Chinese medicine in breast cancer, and a case study on the treatment of Reynauds Syndrome (circulatory disorder). Through his research and experience working with oncology specialists in Australia and China, Luke specialises in adjunctive cancer management. In particular, he helps patients undergoing cancer treatment manage related side-effects such as nausea, pain, hot flashes, peripheral neuropathy, low immunity, loose stools, insomnia, and fatigue. Luke’s most recent passion is facial rejuvenation acupuncture. While only fairly new on the scene in a western sense, In ancient times, using acupuncture was the way women in elite Chinese households would stay youthful and glowing. After studying the facial rejuventation methods, Luke & his wife agreed to use her as a test case and they were both amazed and impressed with the results! In an era so heavily burdened with chemicals in our beauty products (among everything else) he saw a way forward for those wanting to look as good as they can, with clear complexion, minimal fine lines and wrinkles and a lovely natural glowing vitality, all without chemicals, surgery or injectables. This passion has led to the newest arm of our acupuncture treatment at WSW – facial rejuvenation acupuncture. With a passion for helping people, Luke is dedicated to clinical practice and the advancement of skills for life. Coupled with a hunger for learning and knowledge, his patients will always receive cutting edge treatment to ensure their health will receive best care. McPherson, L., & Cochrane S. (2016) Case report: Jelly fish sting resolved by Chinese herbs. Australian Journal of Acupuncture and Chinese Medicine. Nutritional and Naturopathic Medicine Ad.Dip (Naturopathy) Ad.Dip (Nutritional Medicine). Classical Japanese Acupuncture, Moxibustion & Herbs. BHSc. (TCM), Cert. TJM (Japan), Grad. Dip. Ed., BSc..
Rochelle is a Japanese style acupuncturist who enjoys helping her clients resolve complex health problems. She finds many patients who come for acupuncture have lived with debilitating and complicated health problems for many years. Using traditional methods of diagnosis, Rochelle works with you to identify the body, mind and lifestyle patterns that form your unique health puzzle and in so doing point the way to a lasting solution to your symptoms. Rochelle’s approach is founded on listening, analysis, regular monitoring and feedback as methods to consider the impact of all the important elements in your life and enable her to tailor a personalised treatment plan that restores balance and vitality. When your unique puzzle is solved you will be amazed at the newfound balance and vitality in your body you may not have believed possible. Rochelle’s treatments combine gentle Japanese acupuncture techniques, moxibustion (heat therapy), manual therapies (massage with acupuncture when required, and cupping) and traditional herbal medicine. She treats a broad variety of conditions from women’s hormonal imbalance to autoimmune disease and chronic pain. Her patients span all age categories from young children to seniors. Her educational background includes bachelor qualifications as a registered Doctor of Traditional Chinese Medicine and degrees in Science and Education. Post-graduate studies have included extensive and regular study with traditional master practitioners in Australia, Japan and overseas and the therapeutic and educational principles of Rudolf Steiner. Rochelle looks forward to welcoming you at the Clinic and to resolving your health puzzle! Julia is a Transformational Energy Healer. 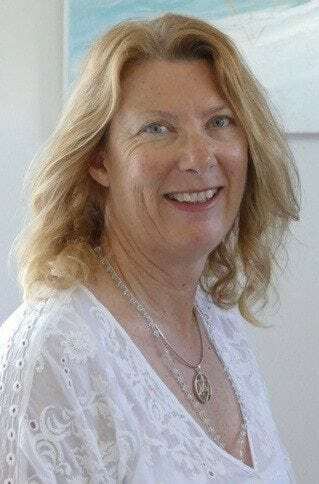 She has experienced first hand the profound transformations that can occur through energetic healing and is now passionate about using her own energetic healing modalities to enable her clients to experience major transformations too. 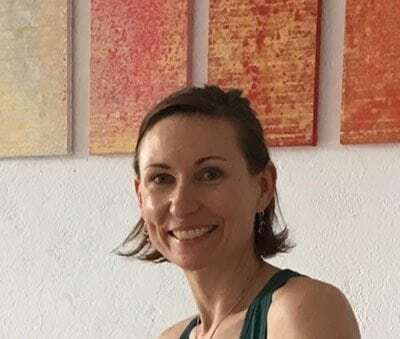 Julia’s background is in the corporate sector and she brings a grounded intelligence to her relationship with clients while blending practical wisdom with an array of energetic healing modalities to best meet each clients individual needs and processes. If you want to find passion, purpose and clarity in your life, transformational energy healing could be exactly what you need. Find out more about Transformational Energy Healing here. Julia also has a background in music and trained at the prestigious Sydney Conservatorium of Music. She now incorporates her passion for music into her energy work via Music healing. She also uses crystals, light and colour as well as hands on healing to allow the best transfer of higher vibrational energy to her clients. As a practitioner of Energy healing for the last 10 years, Julia understands how important it is to be as clear as possible herself and practices consistant energy channelling on herself through meditation and prayer work as well as following a (mostly) clean diet of whole food eating to ensure her body is clear enough to be able to receive and embody high frequency energy. Online training in VAT sound frequency healing and music therapy. For more information on Transformational Energy Healing please visit the “Treatments” page of this website or contact us with any questions. To book now, click on the button below. Dip. Remedial Massage, Lomi Lomi 1 & 2, Reiki 1, Pranic Healing 1. Massage Style: Nurturing, fluid style with varying depths and techniques for a range of individual requirements. What massage can do for you: Clear blockages and congestion, pain relief, stress relief, easing headaches, muscle aches and pains, beneficial for depression & anxiety, improves & promotes health, self-care, circulation & lymphatic circulation, calms nervous system and can improves sleep through inner relaxation. A message from Trish: In our busy lives we tend to neglect our own self care needs, this is why massage is so sacred. It reminds us how to nurture and restore our bodies and minds, as well as teaching us to find balance in all that we do. I use massage is to support and maintain my client’s health & wellness and I look forward to offering the same for you and your needs. Testimonials: “The changes I felt after my massage were instantaneous. I experienced pain relief, but also a sense of clarity of mind as well”. 志’, pronounced Zhi is the Chinese character that carries the meaning of Innate Wisdom, Will and Purpose. These virtues exists within each and every one of us. Jo’s studies in the field of the Body/Mind/Spirit connection has shaped her belief in seeing all physical and emotional stress as reminders from our Innate Self. These reminders prompts us to change certain aspects of our lives that are no longer serving us. It is therefore her genuine desire to go beyond assisting clients in healing surface level symptoms. Addressing the root cause of one’s constitutional disharmonies is what gives way to transformational shifts. When we are able to regain balance across the physical, mental, emotional and spiritual aspects of our being, we clear the blockages that prevents us from living to our greatest potential. True healing occurs when you embrace self-responsibility and begin to reconcile the symptoms with recurring thought patterns, reactions, emotions and attitudes. 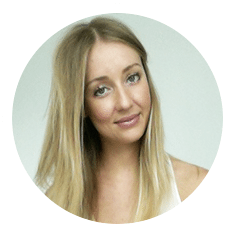 As a Food Scientist, Jo has worked for some of the world’s largest food and beverage companies for over a decade but it wasn’t until she experienced kinesiology that she realised that she had found her true passion and purpose. That purpose is to empower others to thrive in life through the re-connection with their Core, enabling one to freely and fully express their authentic selves. Holistic Kinesiology is a modality that combines gentle, non-invasive muscle monitoring techniques founded in the West (Applied Kinesiology), with ancient wisdom and philosophical teachings of the East (The Dao, Traditional Chinese Medicine Meridians, Indian chakra system, auras, crystals and sound frequency therapy). It works by stimulating a person’s natural internal energies so they can access their own life-enhancing potential. Jo collaborates with a team of passionate, experienced and highly regarded natural healthcare practitioners at the West Street Wellbeing Clinic in North Sydney. In doing so, they are able to deliver a truly holistic approach in fully supporting their client’s wellbeing journey. Other modalities offered at the clinic includes acupuncture, naturopathy, remedial massage and transformational energy healing. Without exception, it is our birthright to live a path of true fulfilment, joy and abundance. So what’s holding you back from living yours to your highest potential? Book now to find out more.